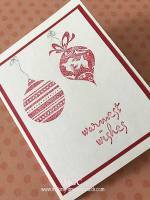 If you are making Easter greeting cards yourself and need some card ideas, here are four greeting cards for Easter card sending that might help jump-start your Easter card making. I created these Easter greetings with much thoughts because I do not have any Easter theme rubber stamps or cliparts. And since I need to make quite a few, I do not think that I have time to draw and paint each card. 1. Click on any image to view Picture Gallery. 2. Click here to view more Easter ideas. After thinking through and looking at my collection of rubber stamps, I come up with these four card designs. Actually, three of these designs used a egg shape template. 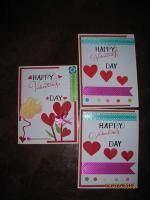 Here are the four Easter greeting cards. They are fun to make and look quite lovely. 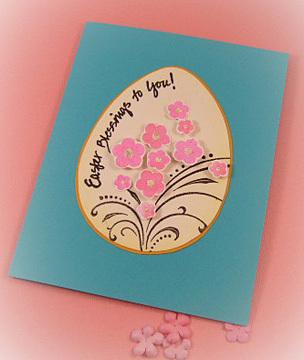 The colors used for this Easter greeting card are turquoise, pink and chocolate brown. Make a egg shaped template using a piece of graph paper or card stock. I roughly drew one that's about 3 by 4 inch on a piece of graph paper and used it to trace onto white cardstocks. Place it on the white cardstock and trace around the template to get the outline of an egg. Cut out and if needed, use a fine sandpaper to smoothen the edges. Pour clear embossing powder on the stamped image, shake off excess powder and heat to melt the powder. Repeat with other border clear stamps until the egg shaped cardstock is fully filled with border designs. You can alternate the border stamps. Here I used only 3 border designs. Use the chocolate color ink pad to swipe over the egg shape. Or you can use a piece of polyester foam to apply the ink. Make sure that the edges are darker to give a 3D look. Dampen a piece of tissue paper and wipe clean the embossed designs of chocolate brown ink. Wrap the light brown raffia around it and tie a knot leaving two short ends of about one and a half inch long. Twist the tip of the two ends. Cut a small tag, color it pink and write the words, 'Do Not Open Until EASTER' with black permanent pen. Punch hole and insert one end of the raffia into it. Apply glue and attach to the front of the turquoise color blank folded card. Easter Greeting Cards: Easter Blessings to You! The colours used for this Easter greeting card are turquoise, pink, olive and black. rubber stamps: Fantastic Flourishes clear design stamps by Hero Arts and message and flower clear stamps by My Sentiments Exactly! Place flourish clear stamp on acrylic block. Ink flower clear stamps with pink ink and stamp on white cardstock. Trim around the flower designs. Use the olive or yellow color ink pad to swipe around the edges of the egg shape. Or you can use a piece of polyester foam to apply the ink. Stamp message 'Easter Blessings to You!' in black and emboss with clear embossing powder. If you don't have any Easter greetings stamp, just use a black permanent pen to hand write the greeting. 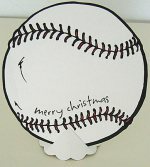 Apply glue to the egg shaped card and layer onto the olive color card. Trim around it leaving a tiny border. Arrange and paste the trimmed flowers on top of the flourish and add glitter glue to the centers of each flower. That's it! 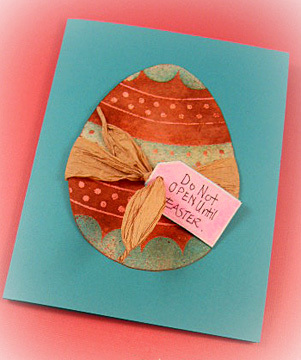 Two Easter greeting cards with one self-drawn egg shaped template. Try it! 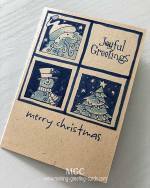 You can use any other design rubber stamps to make these cards. Click on the following links to see more Easter card designs.